The male gonads, or testes, are suspended from the perineum in an external contractile sac called the scrotum (Figure 37.1A). Each testis is about 4 cm long, and the testes are perfused by the spermatic arteries. 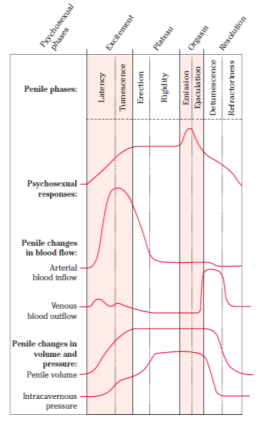 The spermatic arteries are closely apposed with the spermatic venous plexus, and this close contact al­lows countercurrent heat exchange between artery and vein, cooling the blood that flows to the testes. Countercurrent heat exchange helps keep the testic­ular temperature cool enough for optimal spermato­genesis (1°C to 2°C cooler than body temperature). The external location of the testes in the scrotum serves as a second important cooling mechanism. Because the testes develop within the abdomen, they descend into the scrotum during fetal life, reaching the deep inguinal rings around week 28 of gestation and inhab­iting the scrotum by birth. In some instances (3% of the time in full-term male infants), the testes do not descend—a condition called cryptorchidism. Cryp­torchidism must be corrected if the male is to have properly functioning, fertile gonads. Figure 37.1 Anatomy of the male reproductive system. A. Overview. B. A closer look at the testis. C. The ducts of the reproductive system shown in isolation. The ducts arising from both testes are depicted, converging on the posterior urethra inside the prostate gland. "Structure of the Male Reproductive System." UKEssays.com. 11 2018. All Answers Ltd. 04 2019 <https://www.ukessays.com/essays/biology/structure-male-reproductive-system-3267.php?vref=1>. "Structure of the Male Reproductive System." All Answers Ltd. ukessays.com, November 2018. Web. 26 April 2019. 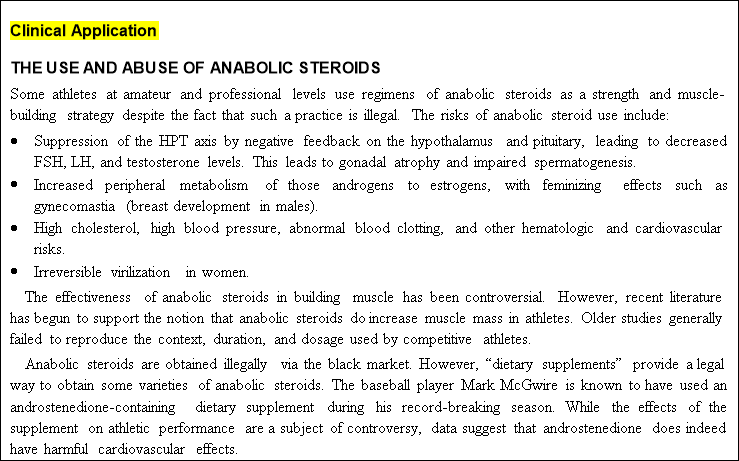 <https://www.ukessays.com/essays/biology/structure-male-reproductive-system-3267.php?vref=1>. UKEssays. November 2018. 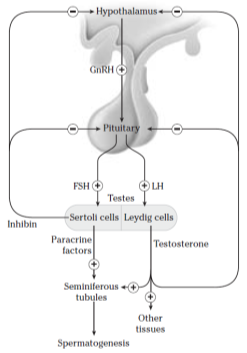 Structure of the Male Reproductive System. [online]. Available from: https://www.ukessays.com/essays/biology/structure-male-reproductive-system-3267.php?vref=1 [Accessed 26 April 2019]. UKEssays. 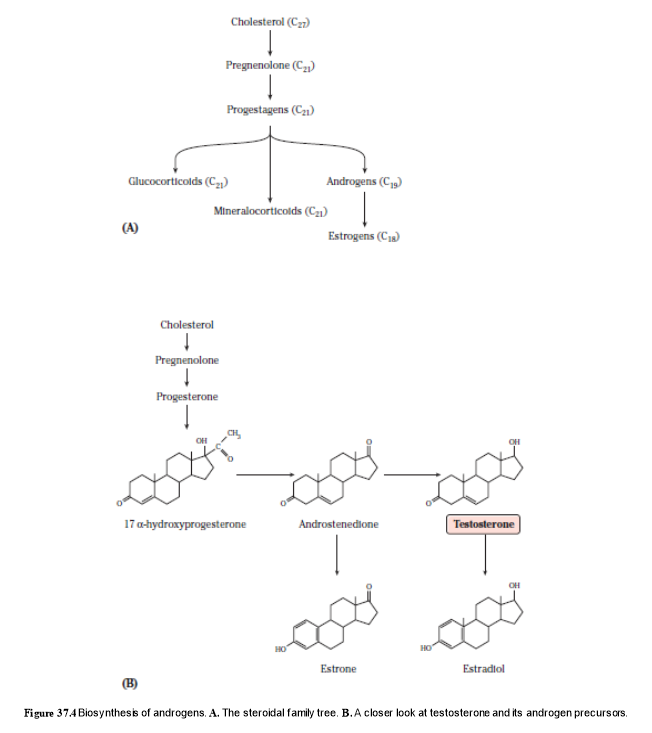 Structure of the Male Reproductive System [Internet]. November 2018. 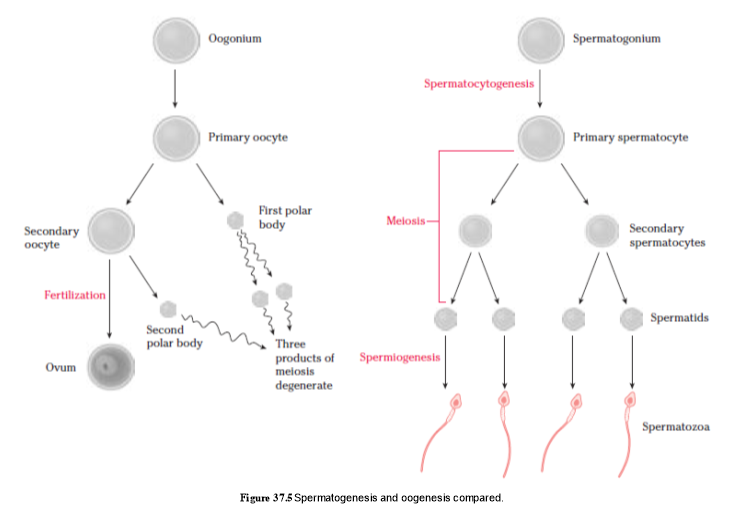 [Accessed 26 April 2019]; Available from: https://www.ukessays.com/essays/biology/structure-male-reproductive-system-3267.php?vref=1.